A federal prosecutor called Martin Shkreli a liar and a fraudster in the opening statements of his criminal fraud trial, but his lawyer defended him as an oddball genius who made millions of dollars for investors. "Maybe he's nuts but that doesn't make him guilty," defense lawyer Ben Brafman said on Wednesday. Prosecutor Girish Karthik Srinivasan detailed the charges against Shkreli, saying the 34-year-old operated an elaborate Ponzi-style fraud in which he cheated investors out of more than $11 million between 2009 and 2014. "He took investors' money based on lies and continued to lie to them for months after he had lost all the money," Srinivasan said. Srinivasan accused Shkreli of stealing money while CEO of Retrophin (RTRX), a pharmaceutical company he founded in 2011, in order to pay off investors in two hedge funds. Shkreli "paid off these debts in secrecy without telling the board of directors. It was easy prey for the defendant as head of the company," the prosecutor said. "We will let the facts speak for themselves in court," Retrophin spokesman Chris Cline said in a statement. Shkreli gained notoriety in 2015 when he hiked up the price of a life-saving drug used by AIDS patients by more than 5,000% while he was CEO of Turing Pharmaceutical. The criminal case against him in Brooklyn federal court, however, is separate from that controversy. His attorney told the court that Shkreli was not guilty of the charges and had ultimately made money for his investors. 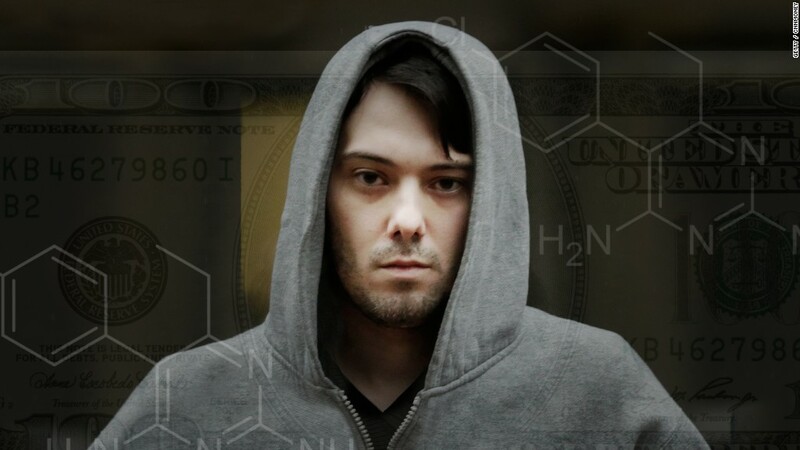 "Martin Shkreli never intended to defraud anyone and that no one in this case was defrauded. Investors who made millions will come here and begrudgingly admit they are not victims," he told the jury. "Is he strange? Yes. Do you find him weird? Yes," said Brafman. "Will the witnesses tell you that they laughed at him? Yes." Shkreli is charged with eight counts, including securities fraud and wire fraud, for allegedly mismanaging money at his investment funds Elea Capital, MSMB Capital and MSMB Healthcare, as well as while he was CEO of Retrophin. Shkreli has pleaded not guilty. He faces up to 20 years in prison if he's convicted. His public persona has been a key theme throughout court proceedings so far. Seating a jury took the better part of three days. Some would-be jurors had to be excused because they had strong negative opinions about the defendant. "Looking at him just kind of twists my stomach," one prospective juror said, according to a pool reporter who was granted access to the questioning on behalf of the press. Another person cited "real moral problems with the pharma industry." And another possible juror was excused after telling the judge, "I don't really understand why someone would take a medication that people need and jack up the price. I'm sorry, your Honor: Is he just stupid or crazy?" Brafman told CNNMoney in an email that most of the prospective jurors who were excused had scheduled vacations or work conflicts.